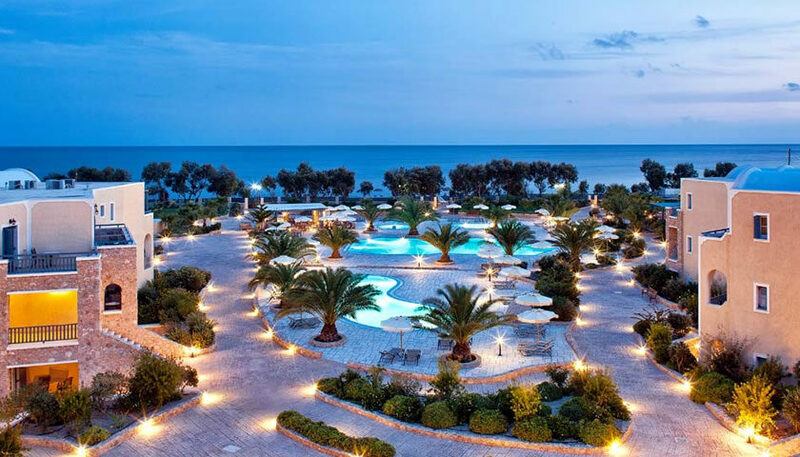 Luxury resort right on Perivolos beach, offering elegant accommodation. You can relax at the large outdoor area with the swimming pools or at the beach sunbeds and umbrellas provided for free in the private beach and then enjoy a meal at the hotel’s restaurant. There is also a fitness centre and recreational facilities for all ages. 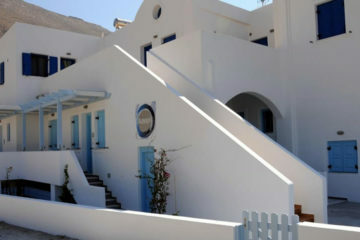 Specify the dates of your visit to Santorini to check availability and prices of Santo Miramare Resort.